In this article, we share a list of best PHP frameworks for developers. PHP, no doubt, is a well know and the world most popular server side scripting language which has the most evolved since the first inline code snippets which is appeared in the static HTML pages. This language used for developing the dynamic and database driven websites.It’s current version which is used in the market is 7.0. PHP can allow you and offer you the best OOP ( Object Oriented Programming ) methods. However, it might not be enough, for your working purposes you’ll find out the many PHP frameworks out there. For using these frameworks you are able to do something great using this server-side scripting language. In this article, we very careful and with full confidence find and choose these 12 most popular PHP Frameworks that can facilitate and streamlined the process of web developers at the back-end. Hope you will like this PHP resources. 0.1 Q . What is a Framework ? 0.2 Q . Why We Use a PHP Framework ? Q . What is a Framework ? Q . Why We Use a PHP Framework ? 6 – These frameworks promoting modern techniques like OOP ( Object Oriented Programming ) tools. So these are some important points, which can give you the answer which is rising into your mind . Now explore the below list of world top and best PHP frameworks all the time. CodeIgniter is the best and powerful PHP framework with small footprint .It has most hig feature end. CodeIgniter provide you the brief documentation of each and every topic . It can also encourages MVC ( Model-View Controller ) , but it never force you to use it , if you want then include it otherwise no problem. There are plenty of free video and article based tutorials related to this framework. According to the size, it has only 2MB space file which is very small including all the user guide. So that’s why it will no take a much space into your system. There are plenty of built-in libraries which are used to save your time to develop any thing. Simply exploring these libraries using your system. The main benefit of CodeIgniter is that it has no restriction of coding rules. You can use it as you want. You no need to configure it for your project, because almost all necessary configuration already done so you can simply start a project without any further configuration. Here is the download link to download CodeIgniter. CakePHP is also a awesome PHP framework which is used by many famous developers. When we writing this post, we found that the CakePHP launch its new version 3.2 V. It is a very old PHP framework , but now it still being used by many popular developers. Many popular companies like BMW and Hyundai are being used it. CakePHP has a very awesome and good looking features which makes it more and more powerful. It enhanced the session management, improved modularity by improving many components, and also developing more standalone libraries. CakePHP has bee really so good and a remarkable diary, it’s power can be used world biggest companies that prove that it still being the top and best PHP framework. Overall view is that, it is an excellent and awesome tool for creating and developing web apps . that always want high and well proved security. It has many features like SQL Injection Prevention, best support, daily updates, database access, and much more. Laravel is also another popular and top leading PHP framework that is fully equipped with the tons of new features and interesting featuring things including the RESTFUL Routing, Light weight tempting engine and many others. Laravel is built using many symfony components. It’s all coded libraries and full functioned, and you must be able to develop a web applications amazingly reliable and awesome. Laravel framework includes many other features like Awesome ORM, painless routing, and , Queue Library which have the most powerful features and many other . Phalcon is the fastest and powerful PHP framework on our list. It is very specialized and built in C language, but provide in the market with extensions PHP, if you categories all other frameworks as a speed-wise then this is the No.1 . It has a very high performance and resource usage is low. By creating a powerful and fully featured PHP Framework fully written in C programming language and offered as PHP extension. Phalcon is fully operated and able to save your processor time and overall performance. In the past, there are many factors which are not considerable like application performance. But when Google take a look and tell webmasters if they want to rank their site then performance speed must be improved. Then performance become the highest priorities for the webmasters. So Phalcon specially designed for speed performance purposes. Symfony is the best PHP framework for speed up your web applications. Basically it is designed for maintenance of the web apps. There are many standards, but by existing “De Facto” PHP standards, such as PHPUnit, and other naming for classes, you are not be able to confined within the Symfony environment. But you have fully facility to choose the required software components. Symfony is the set of different components of PHP, and a different web projects . It’s documentation are well structured and powerful. Under MIT licence it is free of cost, and it is getting more and more popularity each and every day. There are many popular CMS systems like phpBB, and Drupal also use Symfony. This framework is fully scale-able , flexible and more powerful. If you have a fundamental knowledge of PHP , and HTML, and have a basic understanding about the web development processes, then you can easily develop a fairly good and awesome looking website and any kind of business applications using Symfony framework. Yii framework specially designed for the betterment of the speed of websites and other web applications By using this framework you are able to boost the performance of web apps. The main use of Yii is in the lazy loading technique, like image loading plugins , etc. Yii is extensively designed to work efficiently and effectively in AJAX. Yii includes the input validations, filtering techniques, SQL Techniques, , because any web application, security is the main theme and main thing. The Yii framework helps you to develop a clean, understandable and reusable code. Yii is perfect and powerful for developing the social media networking websites that’s why many developers what says about this framework. Yii PHP Framework met all our needs! It worked equally good for both rapid prototyping and large scale web applications. It allowed us to focus on our unique idea while still offering the flexibility to bend our application in all directions we want. Aura PHP framework is also very famous and popular in the market. Aura can be built for those who want and love the cleaning code, fully functional libraries, and independent packages. This framework has a fully but quite a lot of users, it is as similar as CakePhp. In this framework, these are many but enough libraries to form a powerful framework and used for application developments. In this versions, it extended many new features like, array syntax, traits, anonymous functions and many others. PHPixie is a a powerful and designed in 2012, for creating the fully featured and high performance PHP framework for websites. PHPixie can have a HMVC design pattern and built by using independent components that can be used as well as without the framework itself. PHPixie have a powerful implementation of the requested flow response and use of complex architecture. Like a full-stack frameworks, PHPixie handles many problems differently.You can easily improve the source code presentation for large projects by using this PHPixie . FuelPHP is a very awesome and effective full-stack PHP framework which is a fully flexible for developing web applications. It can fully support the MVC pattern and HMVC (Hierarchical Model View Controller) at the architecture level. In this FuelPHP framework, you have the options to add a required layer between the controller and the view. Write code efficiently and divide into different pieces and then reuse these pieces any where into your projects. There is also support the CSRF prevention with tokens , overall it is the popular in PHP lists. Zend PHP framework is an open-source designed for developing powerful and awesome web applications, using OOP ( Object Oriented Programming ) techniques. It is a robust and stable framework which is packed with the configuration options. If you want to develop a small scale application then we not recommended this but if you want to use for complex and bigger projects then this is the best. Kohana is also a awesome PHP framework which is fully support for PHP 5. If you want to build a web applications quickly , it provides a set of common components , including database access, code profiling, translational tools, encryption, decryption, and many others. Kohana fully developed by using different OOP (object oriented programming) techniques.Using PHP classes and objects it’s components are built. By using the active community forum , you have to fully access to the immediate supported persons along with the contributions to Kohana on GitHub. Slim is a very popular PHP framework that provide everything you want for building responsive applications. It is a micro framework. These are minimalistic in design. These type of frameworks are designed for small apps development. It featuring the standards and custom HTTP methods, parameters, page templates cooking encryption, and flash messages etc. The framework including the access to error handling and debugging. Slim PHP framework can be used by many great and popular PHP developers for developing the APIs and different web applications. So can easily use this for your small projects . 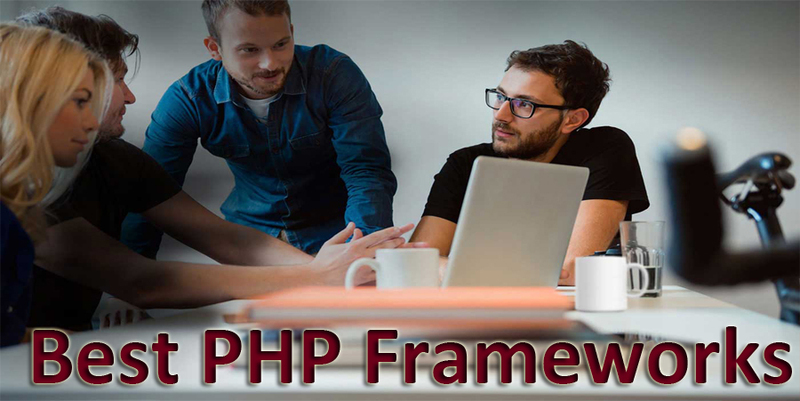 So these are some most popular and powerful PHP frameworks which are still being used for all PHP developers for developing and creating awesome, and powerful web applications and business apps and APIs. Hope you also known many other frameworks and used one of them from our list. If you know more about this then comments below and if you use one of them from our list, then share your experience with the world in the comments section. ! ! !